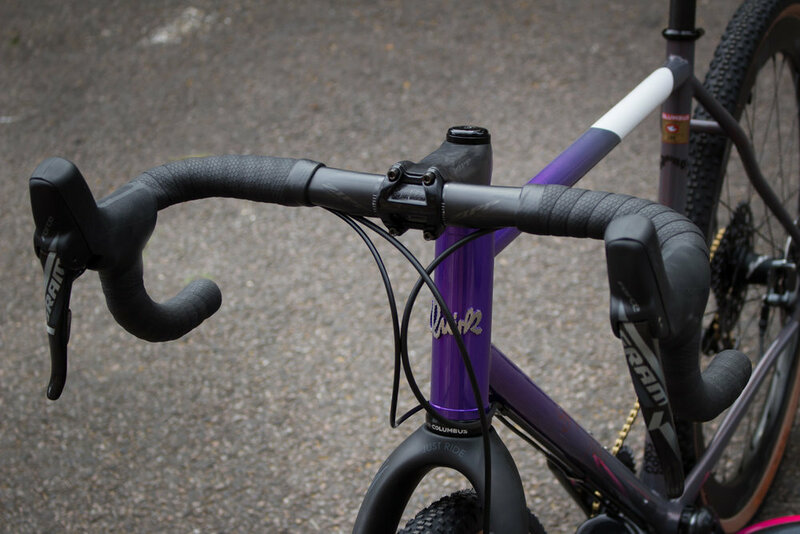 Grinduro Monster Cross Adventure Bike — Quirk Cycles | Custom Steel Bicycles Handmade in London by Framebuilder Rob Quirk. 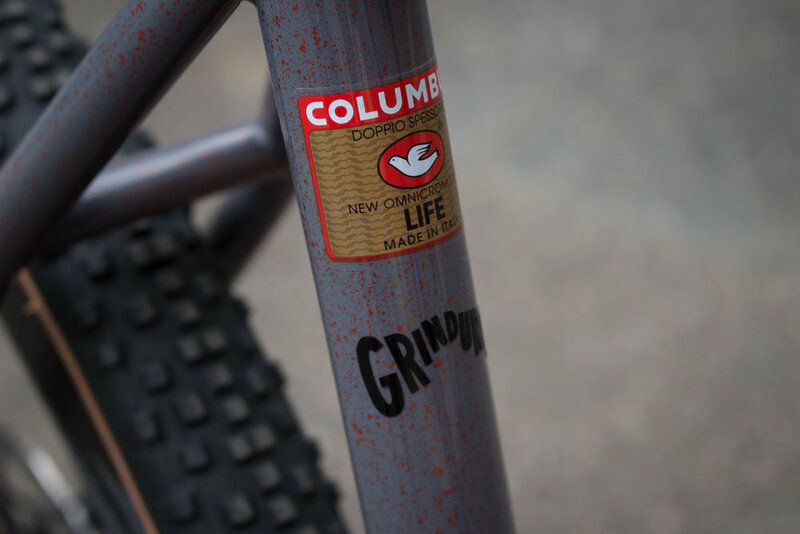 With full support from Columbus and SRAM we had the honour of being one of the four carefully selected builders set the challenge of designing and racing our perfect Grinduro bike. The freedom that came with the generous sponsorship meant we could really let loose and design something focussed on the event itself. Having ridden the first Grinduro Scotland in 2017 we had the advantage and as such knew a little bit more about what to expect. Happily we can say that the frame we designed won the Public Vote and Rob was the fastest builder. Goes to show that Quirk works! Singletrack, grinding gravel ascents, fast fire-road descents, gnarly forest trails, every type of off-road you can imagine. We’ve been refining various types of off-road road-bikes but wanted to know how far off-road we could take road geometry. MTBs are good but but for this event we wanted to really push the envelope of what a gravel/adventure bike could do. Using a mixture of Columbus Life and Zona tubing for this build the aim was to make the bike as strong and comfortable as possible without a weight penalty. 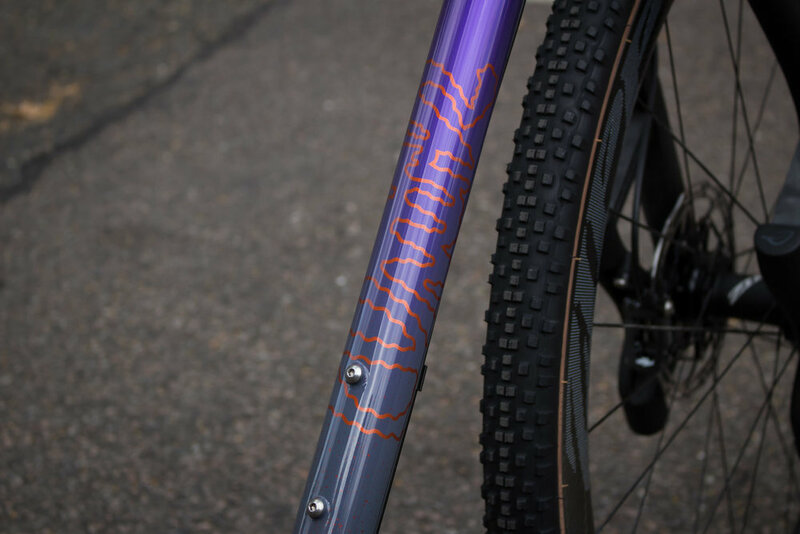 The design calls for skinny tubes for a slightly more flex ride to take advantage of what we call massive suspension. It also has the advantage of saving some weight! To make sure we’ve got the strength we need we use tubes with thicker walls. 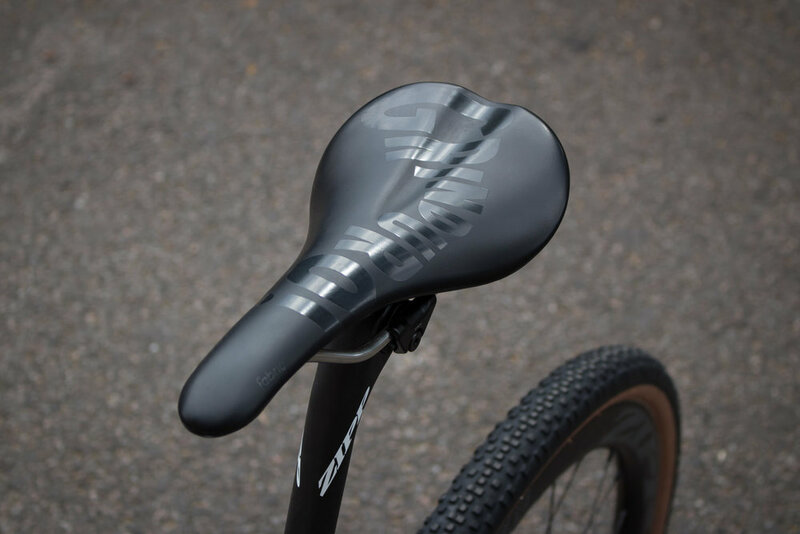 We also had the chance to use Columbus’ new anti-dent process on the top tube - a heat treatment that will resist denting in all but the most severe impacts. We opted for WTB’s Resolute tyres for the best comfort and all-condition performance. The tyres are light and supple and sing when they hit gravel. Best of all they are large at 42mm, soaking up the worst bumps in the road and sticking to 700c for better rolling over the rough stuff. The large tyres would help soften the road but we new we wanted to look into front suspension for this build. Although there are suspension forks on the market designed for gravel we didn’t feel the weight of these designs were competitive enough, most coming in above the 1.5kg mark. There was no question about it; it had to be a Lauf Grit. These forks filter out gravel shocks and vibrations by suspending the wheel separate from the fork on twelve composite leaf-springs. Although like a traditional suspension fork the amount of travel can’t be tuned, the advantage is they weight just 850g and have zero maintenance. Perfect for our needs. An ‘Adventure’ bike at its core, we took the opportunity to move away from today’s road-influenced gravel machines, easing the geometry for long, mixed surface riding. 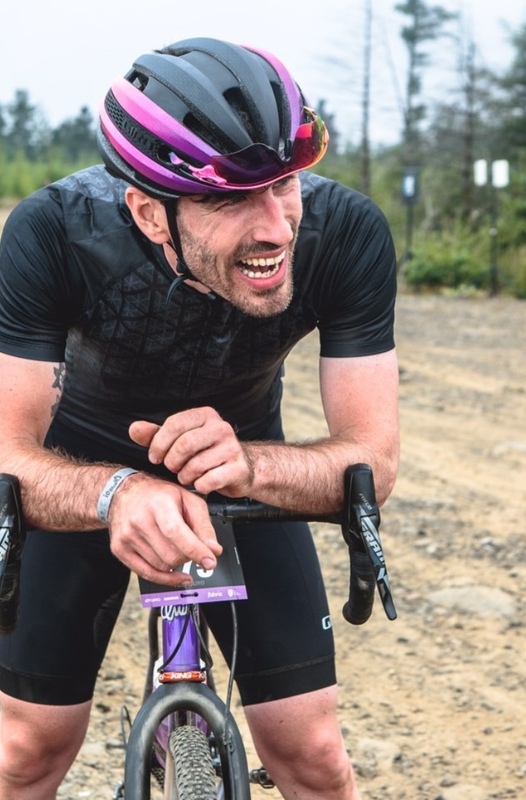 With a slightly longer wheelbase, a slacker head angle, with the reach compact, we opted against the aggressive position Gravel bikes often share.